This is our flagship one on one training, you will have a dedicated trainer set on helping you to achieve your fitness goals. Whether you are just starting and looking to improve your overall fitness level or an athlete looking to excel in your chosen sport. Our training program is never a onesize fits all workout, we work hard for you to give you the best possible chance of accomplishing your goals. All of our training also includes our full spectrum measurements and body fat calculation. We bring our top notch training to your location, whether you’re a sports team, school or church group and even our one on one training can be done at the location of your choosing. Our sports training is to make you the strongest, fastest and most agile athlete possible. We have worked with all types of athlete football, soccer, tennis, baseball and wrestling plus many others. These programs are all periodization based, meaning we will train you to be at your peak strength when you need it most during your championship period. Sports training can be done one on one or in a small group setting. High Intensity Interval Training or HIIT is a face paced workout designed to increase heart rate to help facilitate weight loss, with the added benefit of using strength movements to maintain muscular build. This is our version of boot camp on steroids, you will get the opportunity to use all of our unconventional apparatus (battle rope, sleds, tire, farmers walk and even some Olympic lifts) This is a challenging workout great for those who compete in mud runs, endurance and Crossfit competitions or just up for a challenge! Our small group and family training is designed to work with groups of varying age groups and abilities in one setting. Because we use a percentage based workout design we are able to challenge everyone in the groups to their abilities. We have had great success with these methods and if more challenging movements are needed for a advanced individual, we will provide! 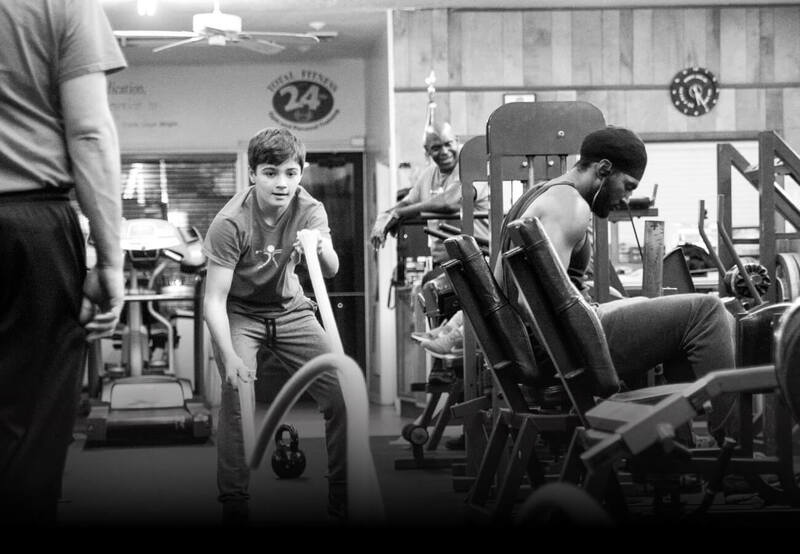 We have our young athletes learning the proper form and technique in all major lifts, which increases core strength and power. We have 25+ years experience in producing strong, fit and confident athletes which include state champion wrestlers, college football, track and field, softball, baseball, field hockey and many more! Classes fill fast and new classes may form on demand so feel free to ask about alternate times.